While the smartphone market in India has cut-throat competition, the laptop segment has been seeing the usual set of players competing with each other for years. However, new-age startup Nexstgo aims to change that paradigm. With a tagline of “Do what giants can’t”, the brand entered the subcontinent late last year. And in 2019, the company has launched its consumer-oriented vertical dubbed AVITA. 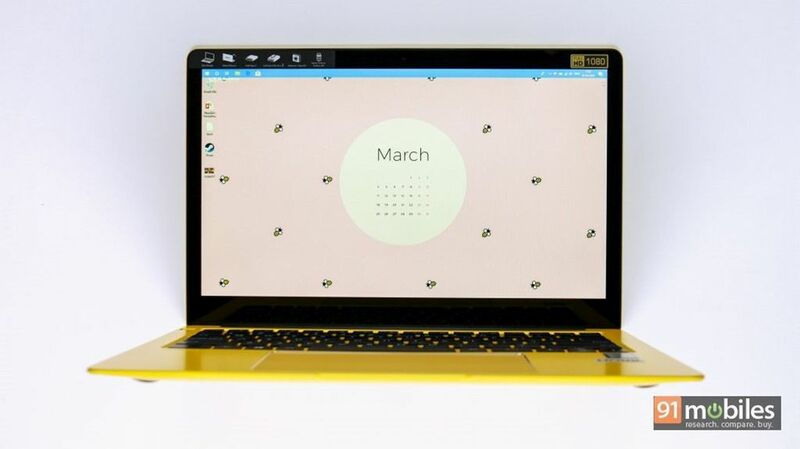 With a range of colourful Liber laptops, the company aims to stand out from the slew of options out there. While only consumers, and time will tell whether the company is able to achieve that, I’ve been using the AVITA Liber (13.3-inch) (model number: NS13A1) for the past few weeks to see what all it brings to the table. So without further ado, here’s what I surmised from my time with the device. 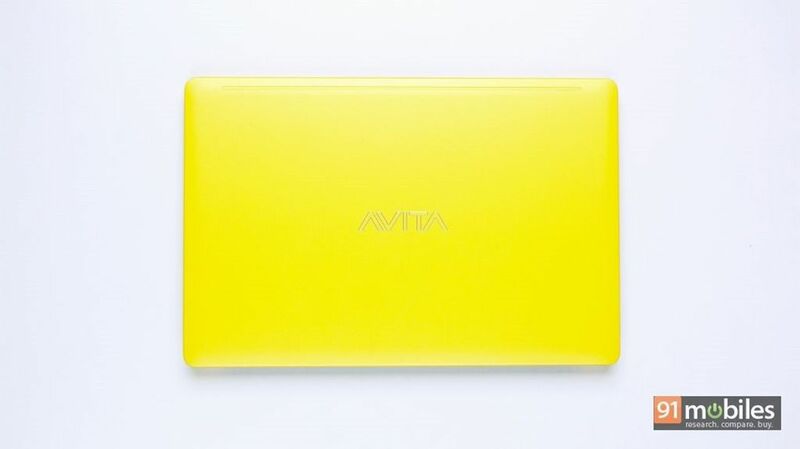 The AVITA Liber is surely unlike anything we’ve seen in the laptop category. Unlike most notebooks which keep things understated in terms of design (unless of course, you’re talking about a gaming rig that has flashy design characteristics), the Liber (13.3-inch) is available in a number of eye-popping colours such as Urban Ruby and Angel Blue. You can even opt for laptops with patterned finishes. Now that’s personalisation that many people would like. The device I received for review featured a golden yellow colour, and I have to say that the shade looks premium and is a head turner. While some might consider this hue gaudy, there were many who asked me about the laptop. Falling in the ultraportable segment, the AVITA Liber weighs just 1.37kg. It’s also quite slim at 5mm at its thinnest point. That means it’s very portable, and it’ll fit in most bags or even a women’s purse easily thanks to its (relatively) compact size. Sadly, that also means the screen isn’t very stable when opened. In a moving vehicle or under a fan, the upper lid moves a lot. That’s not to say that the hinge isn’t strong, as it does ensure that the screen remains in one angle. What’s more, you can even lay the display completely flat on the table – though I’m not sure what purpose that serves, apart from being a neat party trick. AVITA’s Liber is also quite different from the usual laptops. 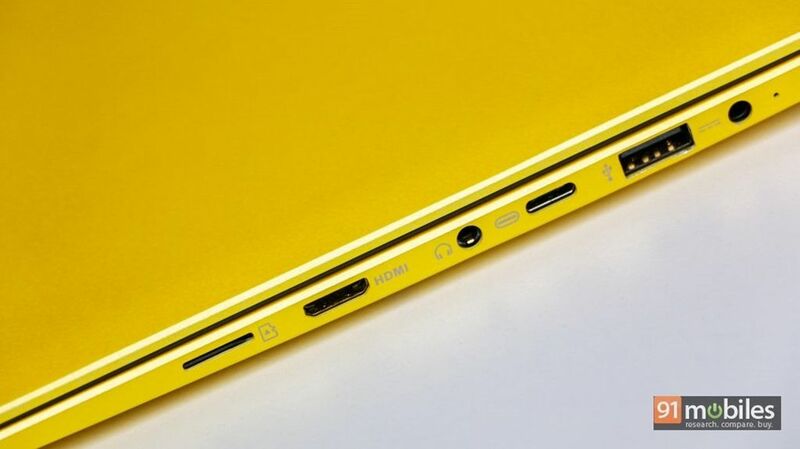 The power button is placed on the left, unlike the usual placement towards the right. But what’s disappointing is the fact that even though the power toggle is shaped like a fingerprint sensor, it lacks that feature. And with the laptop missing out on face unlock as well, you’ll need to key in your password or PIN every time you turn it on or awaken it from sleep. I’ll discuss the keyboard and trackpad performance in the next section, but it’s worth noting that the latter is perhaps the widest I’ve ever seen on a notebook in terms of size. As far as the I/O is concerned, the AVITA Liber (13.3-inch) won’t leave you wanting for more. On the left, you’ll find the lock port and a USB Type-A port, whereas the left spine is home to a barrel-type charging socket, another Type-A port, a Type-C port (not compatible with Thunderbolt, sadly), a 3.5mm socket, a mini-HDMI slot and a microSD card reader. One thing that’s conspicuously missing from the Liber is a ventilation grille, and that’s because it comes with a fanless CPU (more on that later). The AVITA Liber features a 13.3-inch IPS display, which bears full HD resolution. The screen is sharp and reproduces colours well. The viewing angles are also impressive, and while I didn’t find any issues with brightness levels as such, they don’t seem adequate while using the device outdoors. The AVITA Liber (13.3-inch) has well laid-out keys with enough space between them, with the buttons offering a good amount of travel as well. Typing on the rig is a joy and I was able to type at my normal speeds in almost no time. The Function keys double up for controlling screen brightness, volume, etc. and there are music playback controls as well, but for some reason, the latter refused to work with iTunes or even Windows Music Player. 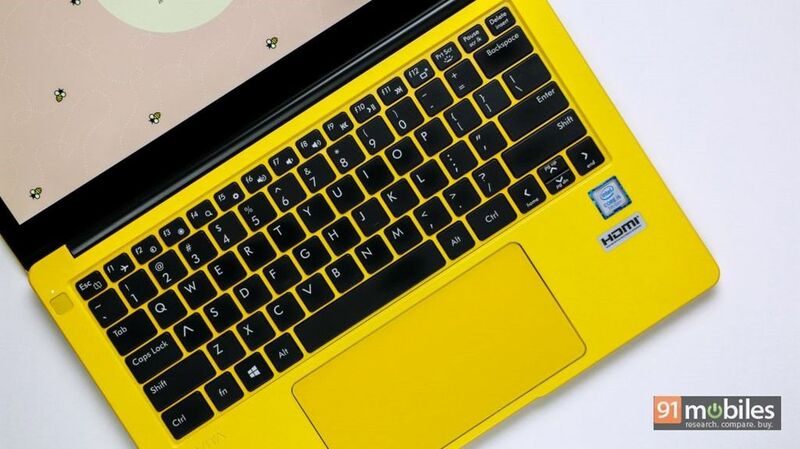 The trackpad on the Liber will definitely draw your attention. Not only is it really wide, but it’s also made entirely out of glass. 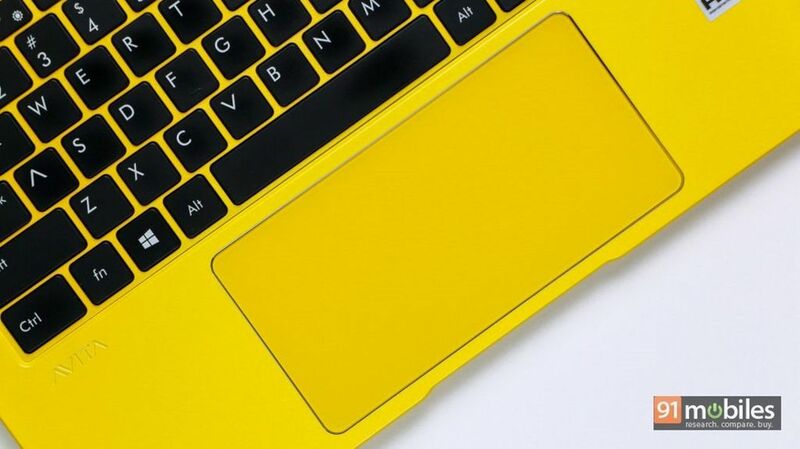 In theory, this is the best trackpad you could get on a laptop. But sadly, that’s far from reality. For some strange reason, the trackpad isn’t smooth at all and at times, it feels really resistive. When it works however, it feels quite good to have a large surface area and using multi-finger gestures is fun too. As mentioned above, the laptop uses a fanless CPU from Intel. 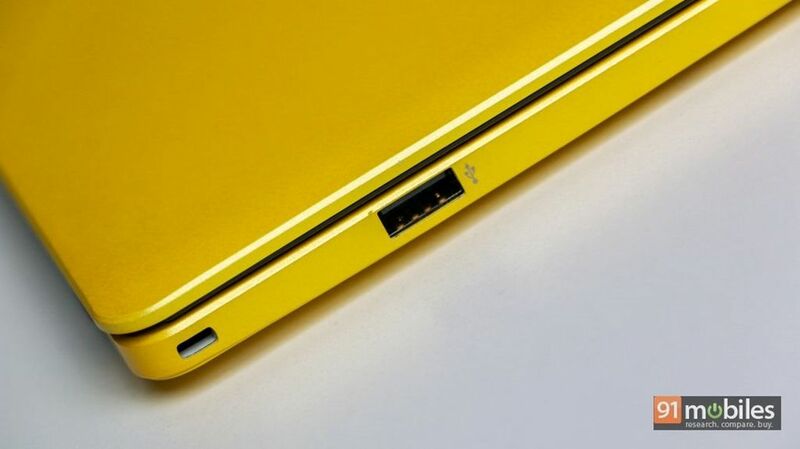 That’s not necessarily bad, as the device isn’t aimed at power users, but at those who are looking for a ultrabook. Yet, it seems strange to see a device in 2019 using a 7th-gen processor. To be specific, the AVITA Liber (13.3-inch) comes powered by the Intel i5-7Y54 CPU, which is clocked at 1.2GHz (can Turbo up to 1.6GHz). The chip is paired with 8GB RAM, and that ensures a good multitasking experience. For people like me who use a laptop mostly for browsing and writing, the hardware choice is good, but it isn’t meant for intensive tasks. That reflects even while using Handbrake to compress videos, as it took ~28 minutes to convert a 5-minute 4k video. 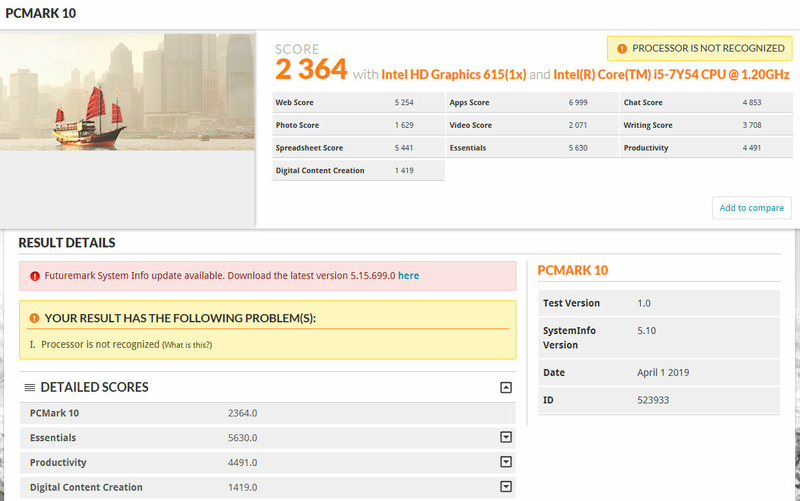 Even the PCMark 10 benchmark proved the same, as the device just scored 2,364. The Liber utilises Intel’s integrated graphics (HD 615). 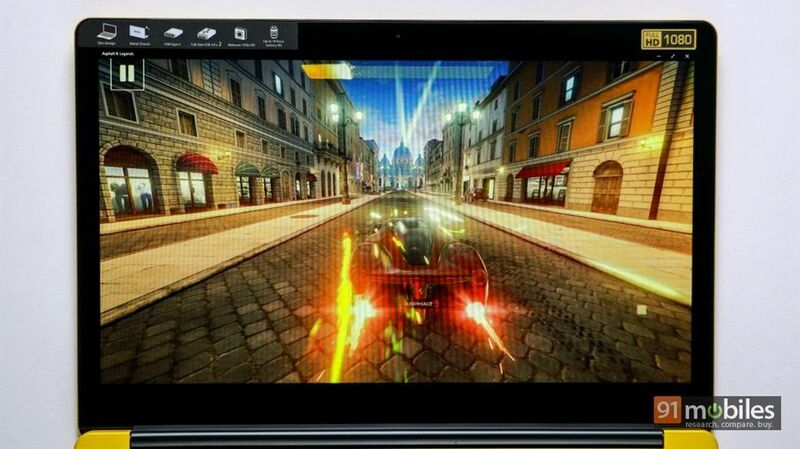 As the spec sheet suggests, the rig isn’t meant for gaming, but I did try running Asphalt 9: Legends and the experience was just about okay. There were noticeable janks and the laptop struggled in reproducing graphics smoothly too. 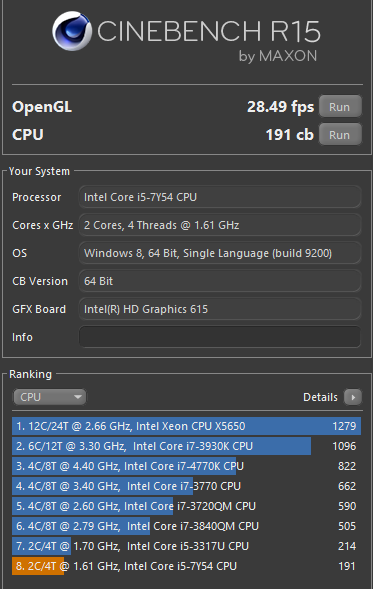 On Cinebench R15, the device scored 28.49fps in OpenGL and 191cb in CPU score, which seems quite abysmal when compared to most laptops in the segment. One good thing with the AVITA Liber series is that the brand is using SSDs across the entire lineup. The model I’m using ships with a 512GB SSD. 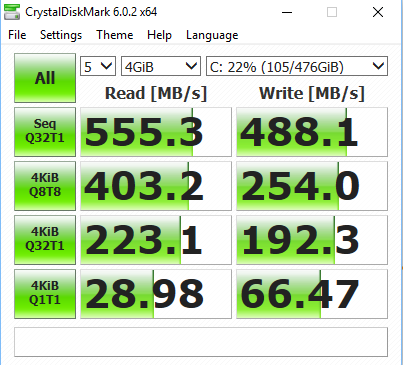 In CrystalDiskMark, the rig got 555.3MB/s and 488.1MB/s read and write speeds, respectively, which isn’t as impressive as I’d have liked. The Liber features two speakers at the bottom. While the output isn’t the loudest, it’s quite good and ensures that sound doesn’t shrill even at the full volume. For an ultraportable, one of the biggest draws is the battery life. While the company claims a battery backup of up 10 hours, you’ll usually get around half of that with the 36WHr Li-ion battery on the AVITA Liber. 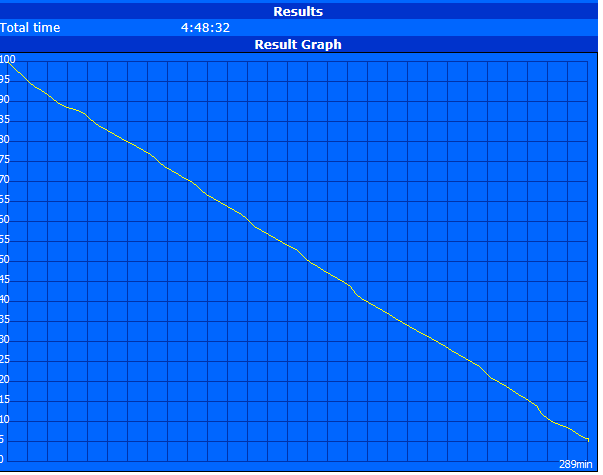 In the BatteryEaterPro test as well, the laptop gave up within less than five hours. But the bigger issue, in my opinion, is that the machine takes almost three hours to charge from 10 to 100 percent with the bundled 40W adapter, which is unacceptable in this day and age. Interestingly, the Type-C port also allows you to charge the machine. In a nutshell, the AVITA Liber (13.3-inch) has its heart at the right place as it aims to offer smooth user experience in a well-built, portable form factor. However, it falters along the way, as the performance isn’t up to the mark, and battery life – which is usually the USP of ultrabooks – isn’t all that impressive. Add to it the fact that the laptop has been priced in the same territory as offerings from established players. Available in three screen sizes of 12.5-inch, 13.3-inch and 14-inch and multiple configurations, the MRP ranges from Rs 27,990 and goes all the way up to Rs 83,990. The unit I reviewed is the highest-end model, though you can purchase it for around Rs 60k from various e-com stores. You can also opt for the 256GB SSD variant which carries a price tag of Rs 61,090, but is available online for less than Rs 50k. 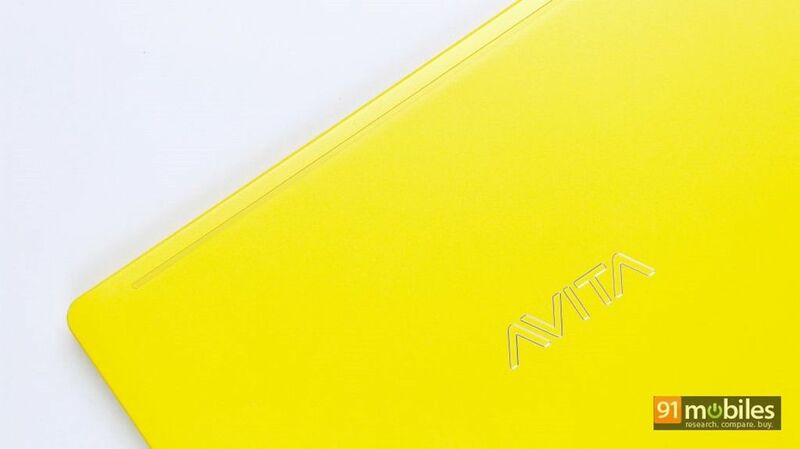 While it’s good to see AVITA trying to cater to the mainstream buyers, it also makes it difficult for the Liber (13.3-inch) to set itself apart from rivals. At this price segment, you can get powerful options like the ASUS VivoBook S14 and Dell Inspiron 14 5480 (review), both of which come with newer 8th-gen Intel processors, though the latter comes with an HDD instead of an SSD. Overall, the AVITA Liber (13.3-inch) is a good laptop, but you can certainly find better options in its price bracket. That said, I can’t wait for what the brand launches next considering it does have the basics sorted. Previous articleApple iPhone XR at Rs 53,900: should you buy it?